We love the Sunshine Coast. It’s such a lovely area, which generally has a more laid back feel to it than it’s southern cousin – the Gold Coast. But like the Gold Coast it has the most gorgeous Hinterland area. We recently enjoyed a day trip to Maleny and found that there was so much to see in this picturesque spot. A day just isn’t long enough and we didn’t get to see everything that we wanted to. Which just means we will have to come back! Maleny is only about a 40 minute drive from most locations on the Sunshine Coast. Whichever way you choose to go, you will find the road is hilly and windy but the views are amazing! As we were getting closer to Maleny I spotted a sign for Mary Cairncross Reserve so we thought we would go and check it out. What we found was an awesome park area and lookout with the most amazing views of the Glass House Mountains. The reserve itself is 55 hectares of sub-tropical rainforest. The land that the reserve is on was gifted to the local Council in 1941. There are walking trails right around the reserve, a large grassy area perfect for kicking a footy, plus plenty of picnic tables, barbeques and a kids playground. 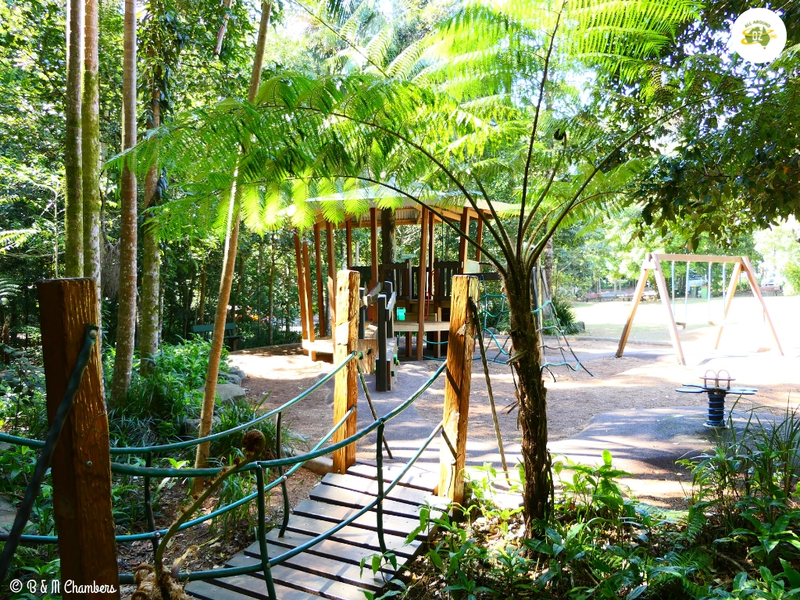 The kids playground at Mary Cairncross Reserve is tucked into a lovely shady corner. The reserve is also the home of the Richmond Birdwing Butterfly Garden. The Richmond Birdwing Butterfly is an endangered species due to the destruction of it’s native rain forest habitat and the introduction of the Dutchmans Pipe vine which is poisonous to the caterpillars when they hatch. Adjacent to the reserve is the Mountain View cafe, which even at 10.00am on a weekday was already busy. Above the cafe there is a huge deck with views out over the stunning Glass HOuse Mountains. Adjacent to the cafe is an education centre and there was also an art exhibition upstairs. Entry to the education centre is by gold coin donation. Even on a hazy day the view of the Glass House Mountains is spectacular. Maleny itself is just a small rural town. Our first stop of the day was at was CJ’s Pastries – a bakery at the bottom of the main street. We both had delicious pies for breakfast and there may have been coffee and chocolate cake involved as well. After that I went for a wander along the main street. There is no shortage of places to eat in Maleny and many offer organic and vegan menus. The local craft shop had lots of handcrafted and home made goodies for sale. I could have also spent a couple of hours in the three different book shops I spotted. But my favourite shop that I found was The Soapbar which sold an amazing array of soaps, bath bombs, essential oils, body scrubs and handmade journals. Another thing I spotted in the main street was a little free book exchange stand. I love that I am seeing these pop up in more and more places we visit. 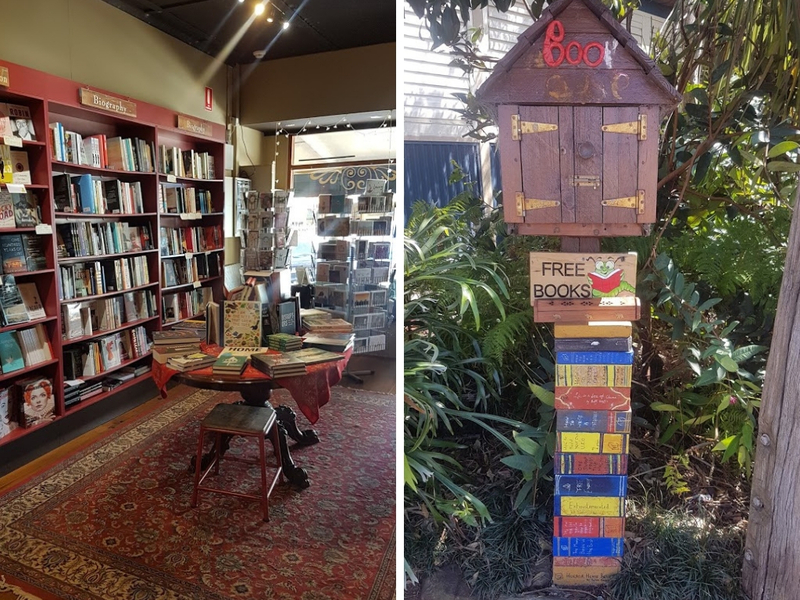 In Maleny you can choose whether you want your books new or used. Gardner’s Falls is a picturesque spot located just four kilometres east of Maleny along Obi Lane. The Falls are in a section of Obi Obi Creek. An easy, level gravel track leads along the creek banks, with plenty of spots where you can walk out onto the rocks to take photos. 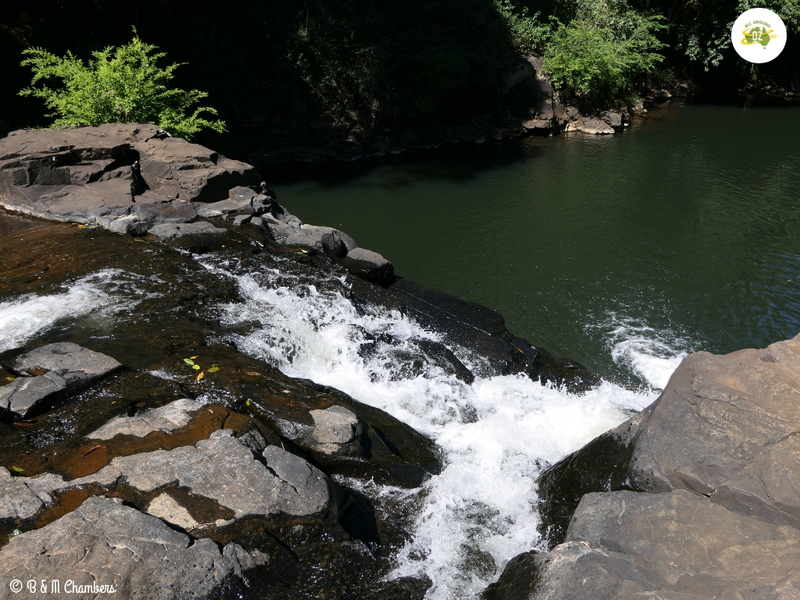 There is a swimming hole just below the Falls, which is very popular with locals during the summer months. There is plenty of bird life in the surrounding trees, as well as lots of sub-tropical rain forest vegetation. A few picnic tables are dotted along the walkway and there are toilets there as well. It was a lovely spot to while away an hour or so. Gardner’s Falls is a very pretty spot and worth taking the time to stop at. Our next stop was Baroon Pocket Dam. We ended up in the northern area which is actually closer to Montville. Baroon Pocket Dam was built across Obi Obi Creek and completed in 1989. It supplies some of the drinking water for South East Queensland. A popular spot for recreation including fishing and non-motorised water craft, I could have easily spent a couple of hours laying in the sun and enjoying the views. Once again there were picnic tables, barbeques and a kids playground as well. 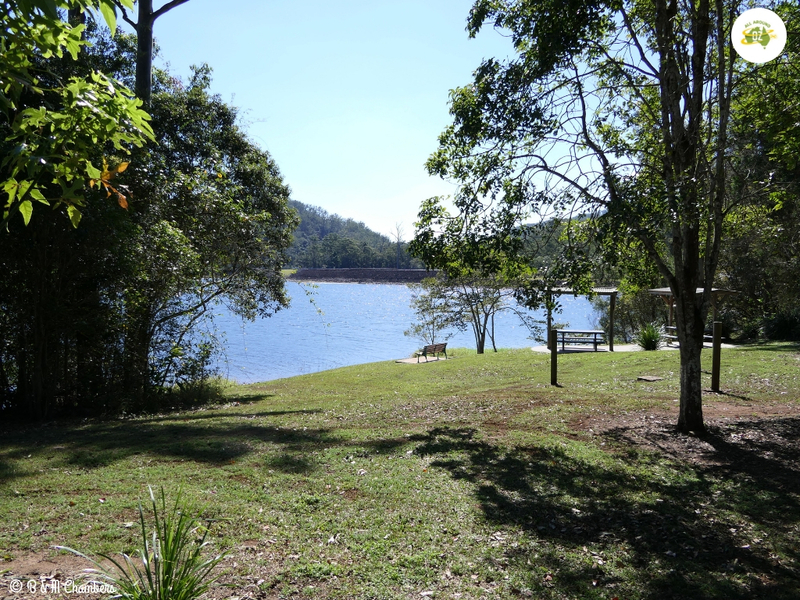 Baroon Pocket Dam is a lovely spot to spend some time when in the Maleny area. A walk across the dam wall was a nice way to take in the views across the water. Just next door at Secrets on the Lake Treehouses, there is a cafe which is open to the public from Tuesday to Sunday. 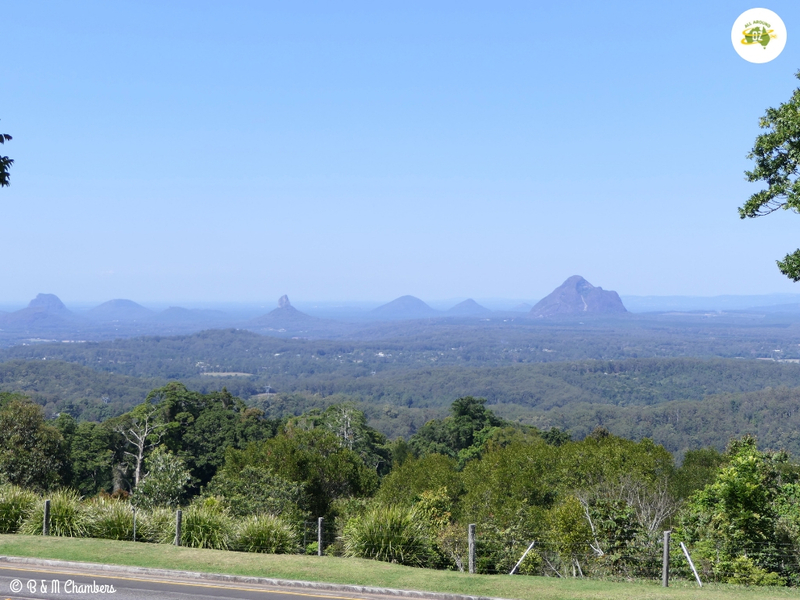 Driving back to Maleny we stopped at Gerrards Lookout which had amazing views back over the Sunshine Coast. As I sat down to finish writing this post, I went looking for some background information on Maleny Cheese only to discover that their premises have been severely damaged by an arson attack in the early hours of 17th September, 2018. They have lost thousands of dollars of stock as a result. We can only hope that the culprits are caught and that Maleny Cheese are back producing their excellent products very soon. Maleny Cheese was established in 2004 and produces their delicious range of cheeses from locally sourced milk. As well as cheese they also produce a range of gourmet yoghurts. The Maleny Cheese Cafe is open 7 days a week from 9.00am to 5.00pm and this is where you can taste their cheeses. They produce brie, triple cream brie and camembert cheeses as well as a range of feta. Interestingly they also make cheese from buffalo milk which I found delicious, especially in the feta. Arrive at the cheese cafe early enough in the day and you can see the cheeses being made in the production room below the cafe. If you are passing through the area, do drop in and support this wonderful local business or you may find their products for sale at markets around the area. 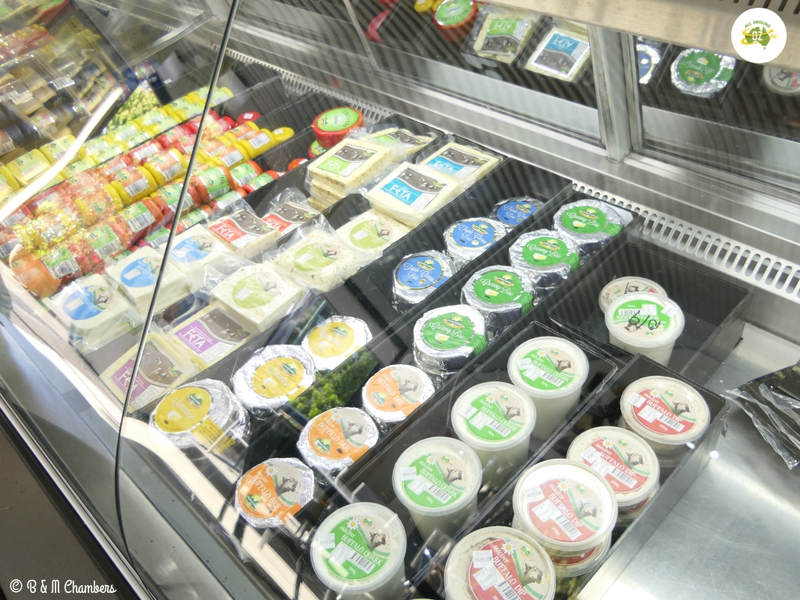 Just some of the yummy cheeses available at Maleny Cheese. There are so many B & B’s around Maleny. It seems every where we went I saw a sign for one. A quick check on Air B n B revealed that there were lots that were very reasonably priced. If you have never stayed in an Air B n B I can highly recommend it. We have had a couple of great experiences so far. If you fancy an Air B n B stay sign up HERE to get a $55.00 credit! Camping is also available at the Maleny Showgrounds. We chose to stay at the Ocean View Tourist Park which is a Kui Parks park located between Maleny and Landsborough. We can’t wait to get back to this area and do some more exploring. It really is a lovely spot.